Sigrid Haines is a health care and elder law attorney at Lerch, Early and Brewer in Bethesda, Maryland. She has earned a reputation as one of Maryland’s most respected health care attorneys for her representation of hospitals, medical and health-related foundations, health care systems, nursing homes, home health agencies, physicians and pharmacies. She also practices in the guardianship field. Sigrid counsels hospitals on a broad range of legal matters, including contract disputes and negotiations; hospital privileges and credentials; patient care; policy, licensing, accreditation and regulatory matters; HIPAA issues; medical staff bylaws; and fraud and abuse investigations and litigation. She advises physicians on privileging and credentialing, licensing, payor issues, contracts and peer review activities. Sigrid represents individuals and institutions in guardianship matters and has been appointed as guardian of property in a number of cases. For clients who are competent, but who recognize that they need assistance, she often serves as attorney-in-fact under a power of attorney to handle financial and health care needs based on her clients’ instructions. In fulfilling her duties to the court or to her clients, Sigrid works with both county and private social workers in order to provide the highest quality of life possible. In addition, she ensures that bills get paid and money is managed efficiently to meet the needs of her clients and wards. Born in Fayetteville, N.Y., Sigrid graduated from Bucknell University with a Bachelor of Science in Business Administration and earned her Juris Doctor from Case Western Reserve University School of Law. A member of the Maryland, District of Columbia and New York bars, she brings valuable experience as a hospital management consultant to her law practice and is widely viewed as a sharp, watchful and compassionate advocate for her clients. 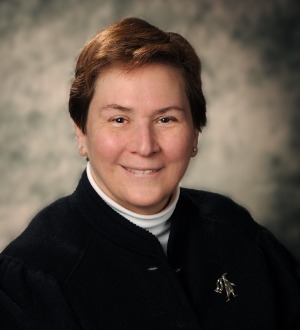 A former member of the Board of Governors of the Maryland State Bar Association, Sigrid has taken an active role its Health Law Section Council since 1993, including serving as the council’s chair, vice chair and secretary-treasurer. She is also a member of the American Health Lawyers Association. Sigrid has been recognized in Chambers USA, Best Lawyers in America and the Maryland and D.C. editions of Super Lawyers in the area of health care. She also has an “AV” rating from Martindale-Hubbell. Sigrid is an avid cyclist who bikes throughout the world. Her most recent bike trips took her through Germany and South Dakota. She also is the proud owner of Harpo, a beautiful black horse.